Moving to the Lake Wales area? When moving to a new city, you may have an overwhelming amount of things on your mind: a different job, different schools, a different church, different daily routines, and of course, finding a new place for your family to call "home". At Heidi Gravel, I understand this, and I am an expert in relocation. I have a long history of finding buyers the right home by following a refined process to help get you straight to the properties you need to see. Before coming into town, arrange your needs into one list. Then list the things you simply want in another. If a home comes up short on your must-haves, there's no need to even spend time looking at it. Know your budget. 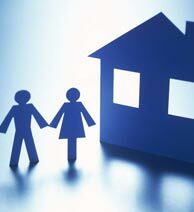 If you are getting a mortgage, secure your pre-approved amount in advance so we can eliminate homes out of your budget. How long of a commute are you ready to make each day to work and other activities? Traffic in the Lake Wales area could be different than your current location, so let me know your desired drive-time, and I'll find homes based on my knowledge of drive times in the area. I can send you some top recommendations prior to your arrival. Or you could already have some strong possibilities as a result of your own research. While virtual tours and photos are invaluable, there's nothing like visiting homes in person. I can arrange any necessary appointments with other Realtors or homeowners and map a route. We could visit up to 8 or 10 homes in a single day if we work efficiently. My goal is to see to it that by the time you leave town, you can be comfortable in the knowledge you're on the right track to finding the best home for your family. Call me today at 863-676-8058 to being your home search.